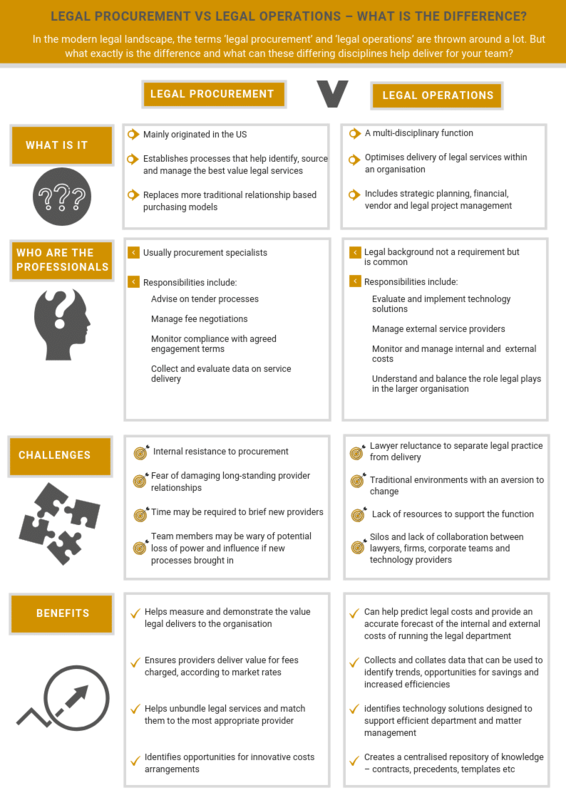 Not sure how legal procurement differs from legal operations? We’ve broken it down for you in this handy infographic. Want to know how Lawcadia can help you manage your legal procurement and legal operations from the one safe, secure, cloud-based location? Complete the contact form below and we’ll be in touch for a confidential discussion about your team’s needs.